When I read the first book of the Vampire Diaries series, I already decided to continue with the it, simply because I already have the books. Besides that had I chosen it as bonus book (book you haven’t read that was adapted to a movie/TV show) for BiblioSmiles Summer Book Challenge. The story picks up right where it had left off and Elena, now aware of Stefanos secret, confronts his brother Damon in search for the other. With the help of friends Bonny and Meredith she manages to find him. With Stefano more or less safely returned to her, they now have to face a different trial: Someone has stolen Elenas diary and the entries seem all but to prove that Stefano is the killer that prowled around their little town. Will they be able to prove his innocence? I honestly felt embarrassed while I read and more than once I wondered why I was even reading this book. The book has somewhat around 200 pages and throughout all of them I was looking for the actual plot. When I was finished I wasn’t even sure what the purpose of the book was. Stuff happened, people talked, but nothing of importance. What you can read above is pretty much the entire story line of the book. Other than that was it reading wise not much different then the first part. I still don’t like Elena and Stefano and so far I doubt this will change much. Where I found the sinister side of Damon interesting in the first book, was I disappointed that it wasn’t really featured this time. He was still portrayed as the bad guy, but already showed signs (quite large and blinking) of become just another love-struck vampire. Though he is the creepy type that forcefully takes what he wants, which is also why I don’t understand the growing interest Elena has in him…. Interesting contrast to the main characters? Yes. Healthy people skills? Hell no. All in all do the characters feel kind of dull and sketchy and I didn’t really develop any kind of connection to either of them so far. So far the story is far too cheesy for my taste and the characters aren’t really memorable. The fluent writing makes up a bit for this, but the missing plot is still kind of weird. As I said for part one was this books‘ title also changed during the Twilight hype. Originally it was called: Der Kampf (The Fight/Struggle), but was changed to Bei Dämmerung (At Dawn/Twilight – I’m not entirely sure which one they mean, though I suppose the later) in 2008. This name-change subsequently causes the connection from title to content to be very, very thin and technically not existent. 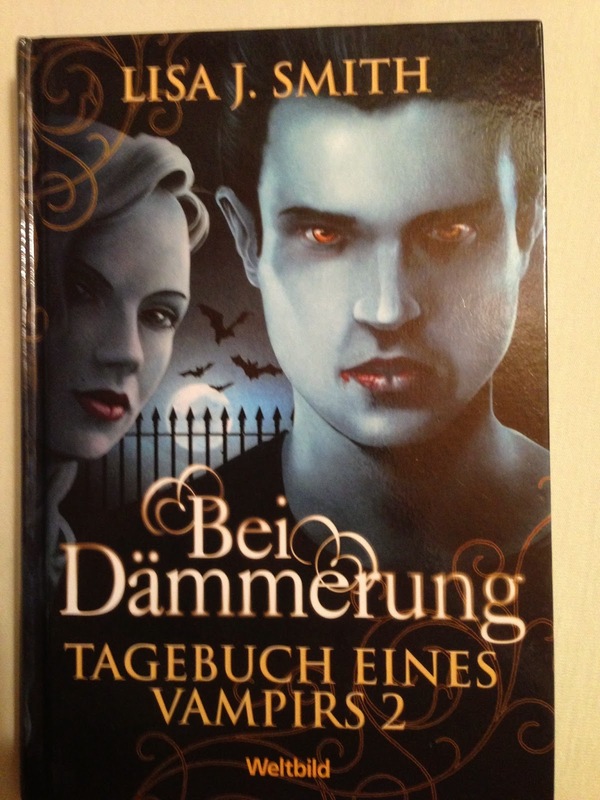 Some time last year, when I just wanted to read something before going to bed I picked up the short book that is the first Vampire Diaries novel. A German publisher sold a package-deal for the first novels and I got it back then, as I was curious how the books were different from the series. After I finished Eric, I thought, I might as well finish The Awakening as well. In regards to BiblioSmile’s Challenge is it also about time that I post this review, as I had chosen the second part for the bonus category. The Vampire Diaries tell the stories of the high school princess Elena Gilbert. At the beginning of a new school year she meets Stefano Salvatore – at that time posing as transfer student – and falls hopelessly in love with him. When he doesn’t reply her flirting and advances she gets mad at him and tries to make him jealous. This however culminates into an evening full of strange happenings and revelations. The more she learns about her beloved, the more she also learns about his past, but when a corpse is found people start second guessing the strange newcomer; not knowing that a second, much more dangerous vampire came to the small town of Fall’s Church as well: Stefano’s brother Damon that isn’t living on a strictly animal diet like his brother. As I said did I start reading this as bedside reading one or two chapters at a time, before I finished it in nearly one sitting, so you could say that it was at least fluently enough written to do that. Where I enjoyed the journal-writing in Bram Stoker’s Dracula, did I not really enjoy it here. Stoker’s version was eloquently written by different characters, but here it was simply a teenage girl writing down her troubled thoughts in a diary. Combine this with first person narration and you have something that is more fit to be a young people fiction than one for young adults. Other than the scattered diary entries, was the book written in third person narrative, which made it more bearable. This book again proved to me that I have a huge problem with main characters. Elena or her (seemingly) previous incarnation Katerina just annoyed me. A self-obsessed high school princess that freaks out if someone ignores her, is really not something I enjoy reading about. Katerina isn’t much better, as she manipulates and plays with the people around her like she owns them; though this is a trade she shares with the school girl. Elena starts as a strong, independent woman, but the more she „falls in love“ the more insecure and annoying she gets. It is just such a drastic change from „I do what I want“ to „What would XY think if I did this?“ and it’s a shame that Smith made her become dependant on her love-interest. Not really better in terms of characterization is the love-interest/mysterious new classmate/vampire-guy Stefano. He seems shallow and single-minded, especially when confronted with Elena/Katerina and in my opinion quite dull. A bit more interesting were the moments when there was interaction with his brother, Damon, that at least seemed sinister enough to become interesting. The other people weren’t really memorable, as they didn’t do anything special and seemed just as dull as the others. Only the one girl with the voodoo(? )-grandma seemed interesting, but that might be due to some spoilers for her development that I caught. In short: So far I’m highly disappointed at the characters and really hope they become more interesting and don’t stay this shallow and annoying. While re-reading the stuff we wrote for „Warlords„, we occasionally were baffled by how sappy certain parts were, but reading this book made me think, that what we wrote doesn’t sound that horrible. In fact, while reading some pages I must have had a look of utter disbelief on my faces, as the thoughts „Please make this stop“ and „Not again…“ and the like crossed my mind. I really don’t like that kind of lovey-dovey, cheesy way of describing this kind of relationship, it annoys me. There wasn’t really any suspense and stuff either to make up for it, but at least a little of it was there. Not much though as you could see through stuff quite easily. But as I already have them, I guess I will still continue to read the other books (as my mum said they get a little more interesting and a little less cheesy). 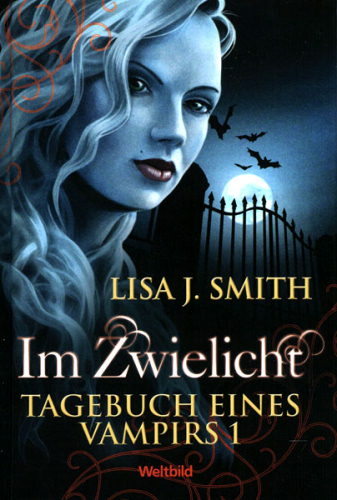 The book was first released under title in German („Das Erwachen„), but with its re-release in 2008 it was changed. Jumping on the Twilight bandwagon it was aptly called „Im Zwielicht“ („In the Twilight“). Just as every following novel was re-named accordingly.